Create cosy comfort in style this winter with our stylish range of faux fur throws. Whether reclining stylishly with one of our elegant sofa throws or getting your snug on with our chic yet cosy bed throws, we have the faux fur throw for you. Our range of bedspreads and throws come in 9 standard sizes and are available with 3 choices of backing. This makes them ideal for a chair or large sofa as well as single, double or king size beds. Whether it’s snuggling under a fur throw on the sofa in front of the TV this winter or bingeing on a box set in bed, we guarantee the utmost quality in our products which we take great pride in carefully hand crafting in-house to bring you luxury products at affordable prices. 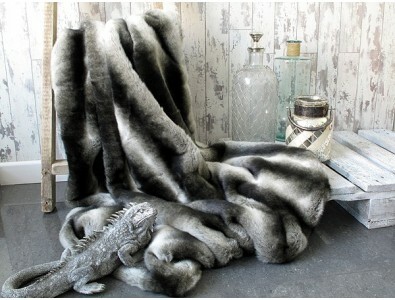 We also offer a bespoke service if you want a fur throw in a size that isn’t on our list. Faux fur is all the rage right now. Not only is it more cost effective than the genuine article, it’s completely animal friendly whilst being as luxurious and elegant as the real thing. Even Giorgio Armani has been singing its praises. High praise indeed. Our faux fur throws are available in patterned or plain stylings, with short, medium or long-hair options. Get them plain, striped or in animal print and spruce up your bedspread today. You can even use them as a blanket for your pet. Talk about animal friendly! Some of our patterned and striped faux fur throws have very distinctive designs, and we have attempted to show the pattern or design of the fur fabric in our photographs. Hopefully they will give you a better idea of the size of the design, or if the pattern is repeated frequently, or randomly, throughout the fur throw. 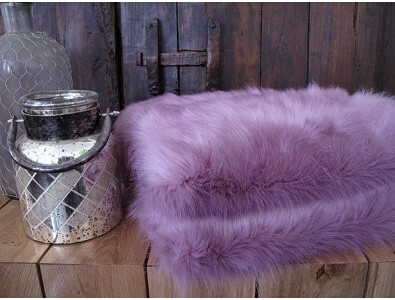 You could also look at the images of our faux fur cushions for further clarification.